Spring has sprung in some parts of the world, but there are more powder days in store for California and Europe. 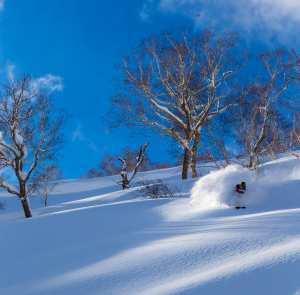 Given it is mid-March, it is no surprise that spring has sprung in hakuba with this week’s temps looking warm, with tops of 14 degrees over the next two days with some rain in the forecast on Friday. Still, overnight freezes have been setting up some good spring skiing, and the touring has been very good, the upper alpine holding some nice corn snow. 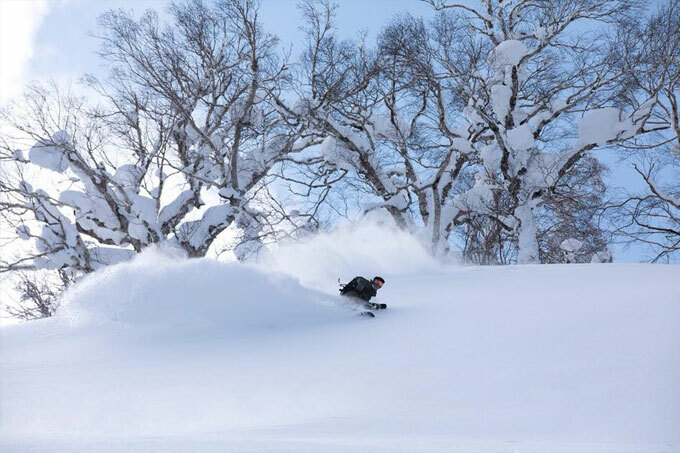 Further north on Hokkaido, there was some rain last week followed by colder temps with some decent snowfalls, Niseko receiving another 10cms on March 12. There may be a mix of snow/rain mid-week before colder temps heading into the weekend, the Niseko forecast calling for another 30cms on Friday/Saturday. 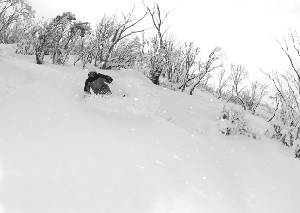 The base is currently sitting at five metres, so as things warm up in the second half of March, there will be some fun spring snow. After a top up last week, it has been spring like in Whistler and other BC resorts, with sunshine and relatively mild temps. It wasn’t super warm, so the snow quality has been pretty good, but it looks like another front and more snow this week. The forecast is for 15cms in Whistler and the BC resorts over the next three days. Across in Alberta, Lake Louise should see decent snowfalls overnight Thursday with a possible 20-25cms by the weekend. It is not unusual to see snowfalls in late March and April across Canada, so you can be sure there are few more powder days in the mix. 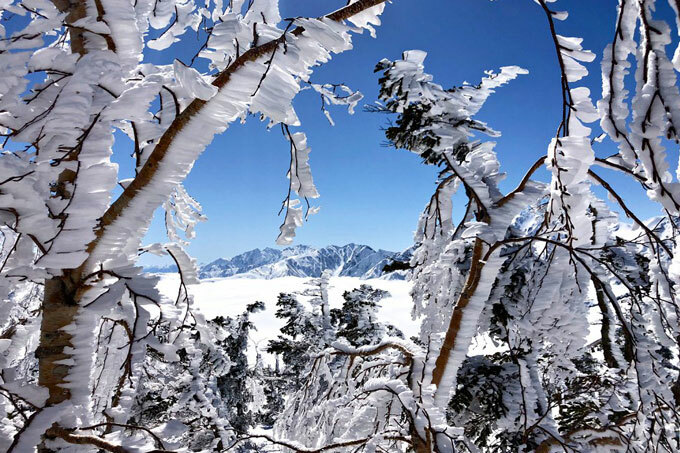 After a very slow start to the year and well-below average snow levels, Californian finally kicked into gear with a big storm in the first week of March dropping 1.5 metres of snow in five days. 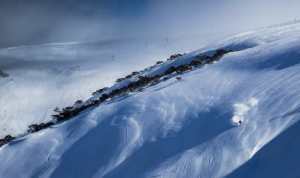 Since then it has been clear and mild, the fine weather broken by a few snowfalls which brought 5cms on the weekend. 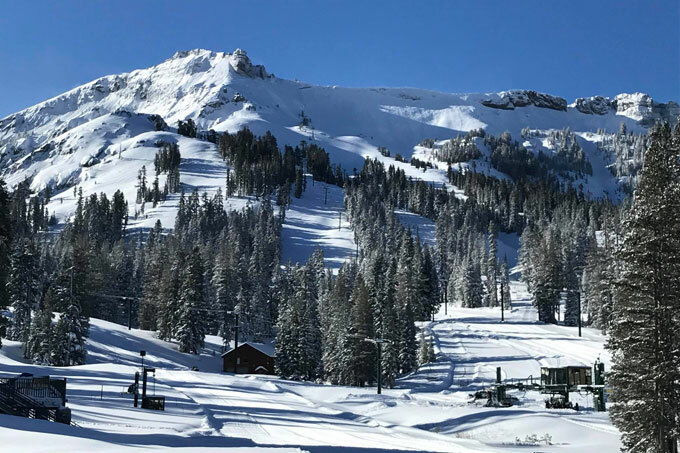 However, it looks like spring is going to take a break this week with a lot more snow forecast for Mammoth and the Lake Tahoe resorts over the next five days. 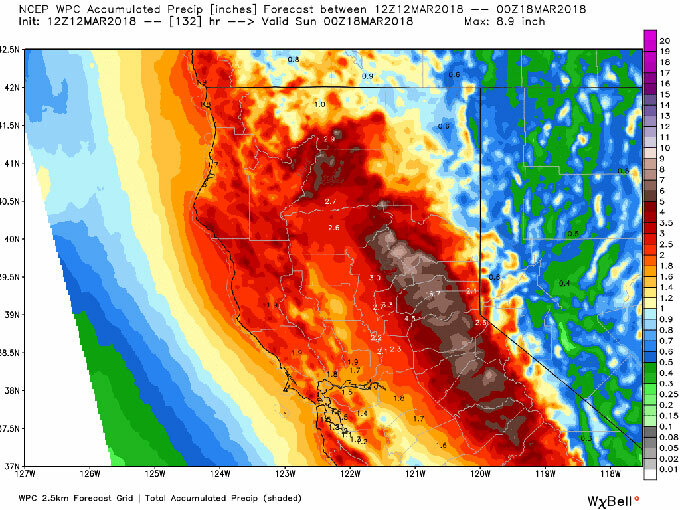 Another good-sized storm will hit California in the next 24 hours, the forecast calling for over a metre of snow between Tuesday night and Saturday. Some forecasts are calling for five feet (1.5m) on the upper mountains across the Sierras and there is a chance of more snow early next week. In the Rockies, there was snow in some parts of Colorado on the weekend, Breckenridge and Winter Park reporting 15-20cms. There should be a few snowfalls this week with some rain at lower elevations before a stronger storm on the weekend. This should see up to 25-30cm in Utah, and around 15-20cms across the Rockies around March 19-21. Jackson Hole has been looking good over the past few weeks, with some good snowfalls and great powder turns. 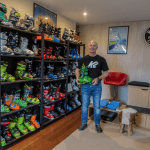 The first week of March was particularly good, and Jackson’s seasonal snowfall passed the 400ins (10 metres) mark on March 6. It looks like that will be surpassed soon, with more snow forecast next week. 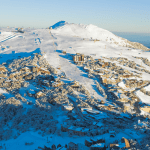 After a period of mild weather, it was good to see fresh snowfalls in some European resorts last weekend, the Central Alps in France and Switzerland and Italy’s Dolomites faring well. 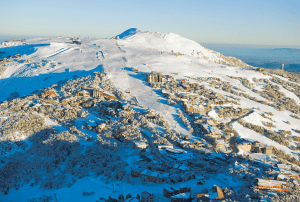 Many resorts received 20-25cms of fresh snow on the weekend, La Grave in France topping the count with a big dump of 70cms. Cloudy conditions and relatively mild temps in Austria have seen some rain in lower altitude resorts. 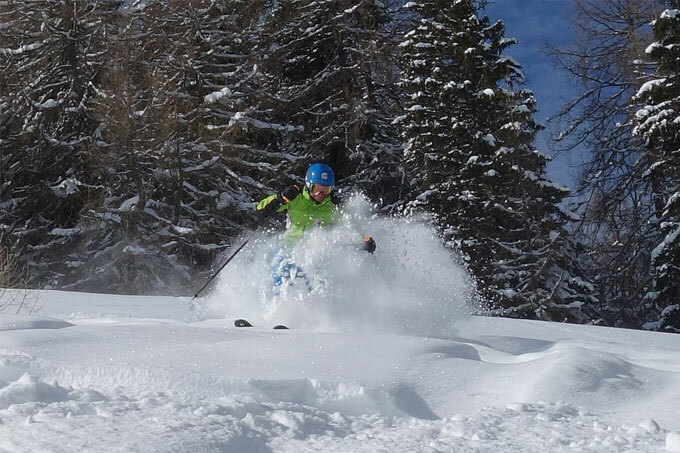 The forecast is for snow showers and flat light for the next few days ahead of better snowfalls on the weekend, the Arlberg and Obergurgl regions set to fare the best. 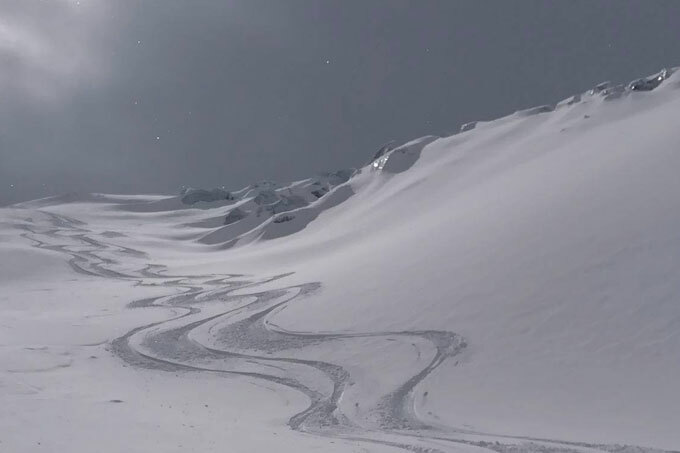 Some nice fresh tracks at Saas Fee on March 11 and there will be plenty more with another storm due on the weekend. Snowfalls are also expected across much of the European Alps and Dolomites over the next week, with moderate to heavy snow forecast from Thursday night through to the weekend, with further falls early next week. Forecast range from one-to-two metres, with the small Italian resort of Macugnaga, near the Swiss border, expecting over two metres in nine days. There is still a lot of life in the northern hemisphere season with snowfalls forecast in the next one to two weeks for Europe, Hokkaido, Canada and the US. 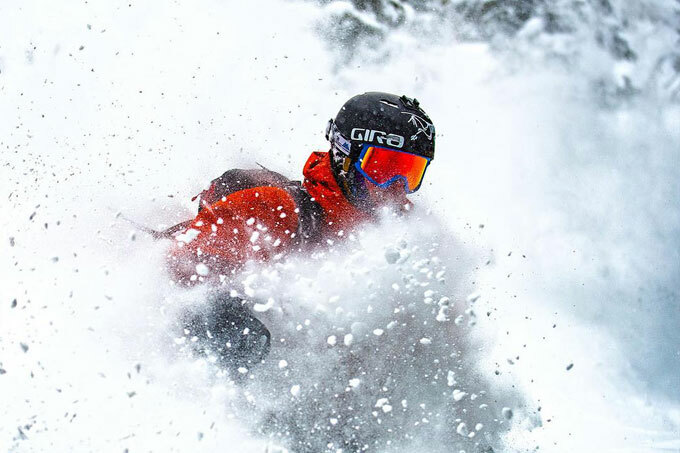 The biggest storm is headed for California, which is about to get hammered again, so we could be seeing a “Miracle March” with more powder days in the forecast. Still, April is around the corner and it won’t be long until we’re looking at sunshine and spring corn in Japan, Europe and North America. Anywhere that is going to turn on the powder tap, so given the forecast that means Squaw or Kirkwood in Lake Tahoe or Mammoth in the US and the Dolomites in Italy. Probably go for Italy, as the food is better!